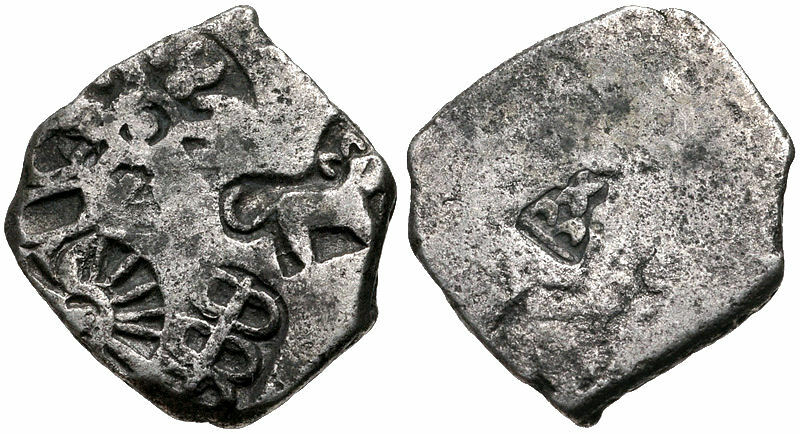 After Chandragupta Maurya, his son Bindusara started to rule from 298 BC. He was called as "Amitraghata", the sanskrit word telling that Bindusara is the "slayer of enemies". He conquered the southern parts of India. After his death only Kalinga (modern Orissa) and parts of Tamil Nadu were left unconquered. King Ashoka, son of Bindusara became the emperor of Mauryan Empire in 268 BC. He is one of the greatest emperor of the Indian subcontinent. Ashoka conquered Kalinga in the violent and bloody war, which is known as the Kalinga War. This is the only war fought by King Ashoka. The casualities are more than 200,000. The region of Kalinga was destroyed and looked bloodshed. This changed the mind of Ashoka. He devoted the rest of his life to ahimsa and dharma-vijaya. He became a Buddhist after this war.King Ashoka made many Rock edicts and Stupas in his empire. The present emblem of India was taken from his rock pillars. He was renowned now as Ashoka the Great. After his death in 232 BC, the empire started to decline. The empire lasted just fifty years after his death. Brihadratha Maurya, the last Mauryan emperor was killed by his general Pushyamitra Shunga, who founded the Shunga Empire in 185 BC. 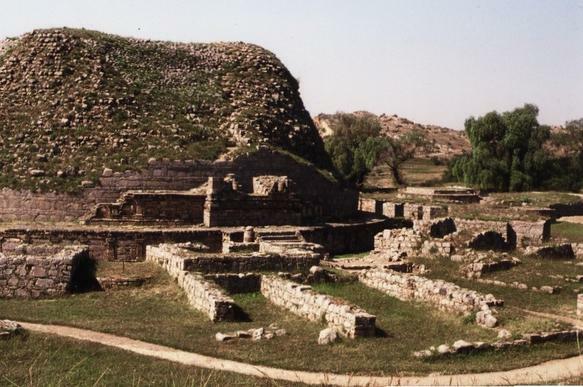 The Pataliputra capital, showing Greek and Persian influence, early Maurya Empire period, 4th-3rd century BC. Mauryan architecture in the Barabar Mounts. Grottoe of Lomas Rishi. 3rd century BCE. An early stupa, 6 meters in diameter, with fallen umbrella on side. Chakpat, near Chakdara. Probably Maurya empire, 3rd century BCE. Buddhist proselytism at the time of king Ashoka (260–218 BCE). The approximate extent of the Magadha state in the 5th century BCE. 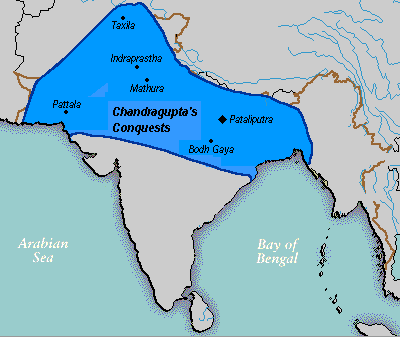 The Maurya Empire when it was first founded by Chandragupta Maurya c. 320 BCE, after conquering the Nanda Empire when he was only about 20 years old. Ashoka extended into Kalinga during the Kalinga War c. 265 BCE, and established superiority over the southern kingdoms. Maurya Empire Facts for Kids. Kiddle Encyclopedia.